A good deadlift, as with all over big lifts, starts with a good setup. There is more to the deadlift than grabbing the bar and standing up. Here are a few quick pointers to effectively find your setup position. Feet should be hip width apart. Line up the outside of your feet with the outside of your hips. Your legs should be perpendicular to the floor. Grip the bar just outside your hip width. If possible your arms should also be perpendicular to the floor. If you have relatively wide hips, your arms may angle out slightly. 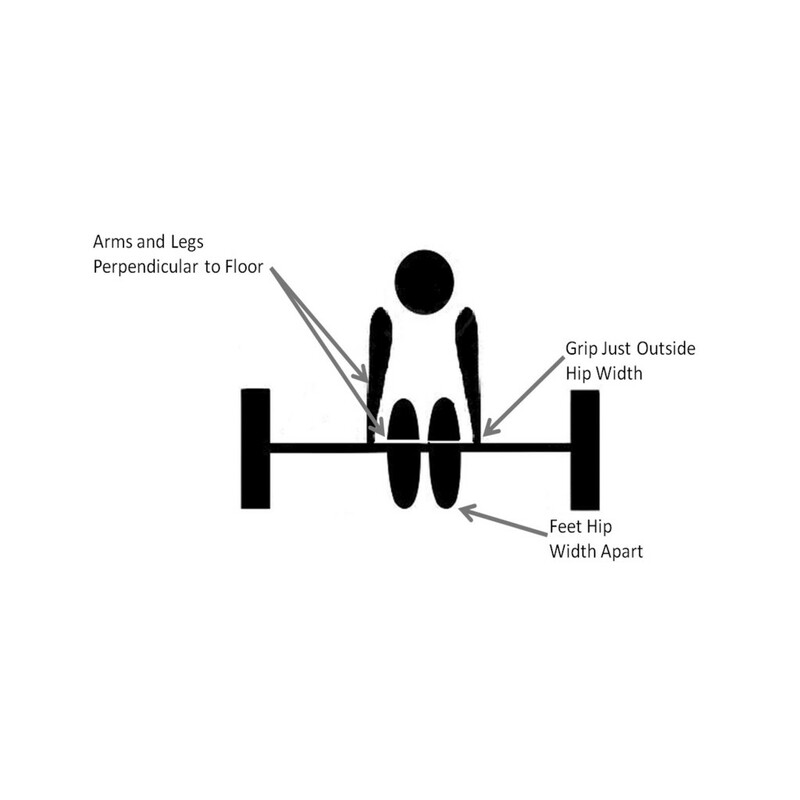 When you drop into the setup position to begin your pull, here are a few markers you can use to find that good starting position for a strong pull. Your shins should remain perpendicular to the floor. As you rock back into the starting position, rotation should be around your knees, bringing your hips down and your head and chest up. 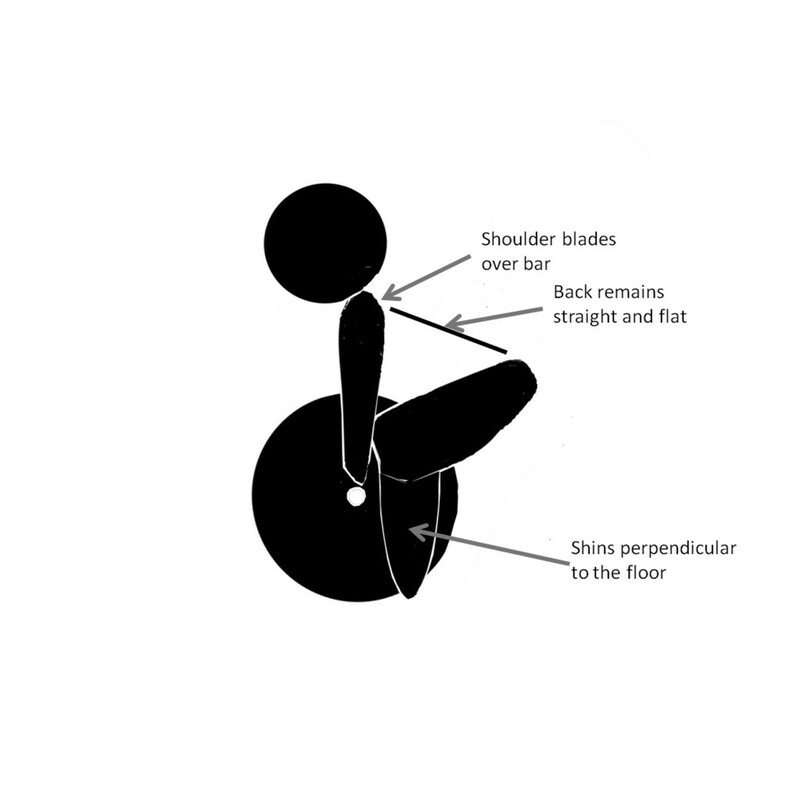 Your shoulder blades should be directly over the bar. Keeping upward tension on the bar and your arms straight as your rock back, continue rocking back until your shoulder blades rotate back over the bar. Keep your back straight and flat. You can do this by taking a deep breath into your lungs, tightening your core, and squeezing your shoulder blades tightly downward – try and tuck them into your back pockets. Don’t waste time thinking about your setup. Once you get your grip on the bar immediately take your breath, tighten your back, and rock back into the starting position. As soon as you are in the starting position immediately begin your pull.